It’s never too early to be thinking about the next election, and nowhere is that truer than in a battleground state (or, of course, Washington, D.C.). As a new slate of senators prepares to take the oath of office in January 2019, the next potential crop are weighing the pros and cons of a Senate bid for 2020. There will be 34 Senate seats up for election in 2020, including 33 regularly scheduled seats and one special election in Arizona to fulfill the remaining term for the late Sen. John McCain. The last time these seats were on the ballot in 2014, Republicans gained 9 seats, meaning they are defending more seats than Democrats in 2020. Key battleground states will include the aforementioned Arizona, along with Colorado, Georgia, Iowa, Maine, New Hampshire, North Carolina, and Virginia, just to name a few. In addition, retirements could throw some races not currently on the radar into “battleground” territory (think Tennessee in 2018). So, who are the candidates already rumored to be considering 2020 Senate campaigns? Sign up for a free, 7-day trial of AR Intel today to find out! America First Action PAC, the super PAC closely associated with President Trump and his reelection campaign, announced its first wave of campaign spending for the 2018 midterms on Tuesday. Key races in Minnesota, Michigan, North Carolina, and Pennsylvania are among those receiving added financial help from America First Action PAC. To see the full list, plus read an excerpt from an earlier post in which America First President Brian Walsh laid out the group’s 2018 priorities, sign up for a 7-day free trial by clicking here. With less than three months to go until the November midterms, media company Axios has put out a list of what it believes are the 5 most competitive House races this year. This list includes tight races in states like Texas, California, and Florida, as well as smaller states like Iowa and Maine. Want to see the list? 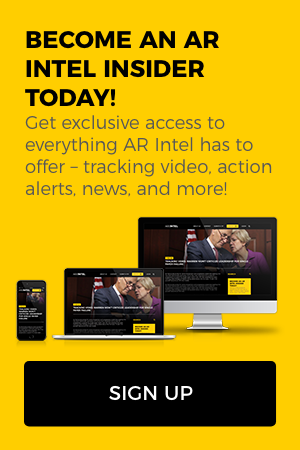 Sign up for a free 7-day trial of AR Intel by clicking here! President Trump will announce his nomination to the Supreme Court to the nation Monday evening. While this will put to rest the rampant speculation about who he will ultimately select, it will set off a furious campaign by outside groups to sway so-called red state Democrats to either support or oppose the nominee. The same could be true of two Republican senators, as well. AR Intel broke down the numbers — to see our findings, become an Insider by signing up for a 7-day free trial today! OFA Just Announced 27 “Priority” Districts for 2018. How Does That Stack Up to CLF? Organizing For Action (OFA), the remnants of former President Obama’s campaign operation, announced this week that it is “prioritizing 27 districts” currently held by Republicans. “OFA volunteer teams will organize in each district to amplify support on the ground for candidates who will actually fight for their constituents,” a statement from OFA read. The full list of districts includes several where Donald Trump did better than Hillary Clinton. It does not include all the seats held by Republicans in districts where Clinton beat Trump, which Democrats tend to see as their best opportunities for pick-ups in November. What exactly “prioritizing” means is unclear. What’s clearer is what’s happening on the other side of the aisle. Congressional Leadership Fund (CLF), the super PAC closely associated with Speaker Paul Ryan (R-WI), appears to be beating the Democrats at their own game. To learn in which districts each group is operating and how they compare, become an AR Intel Insider today!